BOSTON--(BUSINESS WIRE)--The 5G wave is real and justified by the supply-side benefits it delivers. However the impact on revenues and margins in converged network competition is less certain and there is potential for disruption. 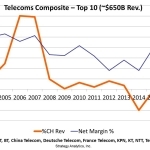 The Strategy Analytics Service Provider Strategies (SPS) report, “Can 5G Slow Operator Profit Erosion?” emphasizes the challenge for 5G in lifting operator performance in a competitive telecoms and media environment where household expenditure and commercial willingness to pay or invest in ICT are flat. Clients to the Service Provider Strategies group can click here for the report. The report finds the benefits from 5G in terms of capacity and network efficiencies are compelling. The question on the table is whether 5G’s new service attributes will enable new service value propositions that create significant new revenues. Given Strategy Analytics’ analysis of the industry structure in which operators exist, we believe the answer is no. David Kerr, Vice President notes, “There is no question that the volume of traffic has skyrocketed during the last ten years. 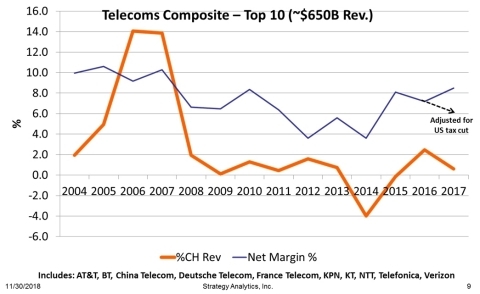 However, as operators transformed their networks to video-capable 4G and pushed their fixed broadband towards gigabit speeds, competition drove prices down faster than even the impressive growth in GBs was able to accommodate."